Manage all components with Oracle Restart. Update current versions of Oracle Database to the advanced Oracle Database 12c. Manage and configure the Network Environment. Will use Oracle Support Workbench and My Oracle Support for updating Oracle Database software. Learn basic backup and recovery methods. Acquiring an understanding of the Oracle Database Cloud Service. Optimize the performance efficiently and effectively. The individuals who are willing to work as Database Administrators, Data Warehouse Administrator, Technical Administrator and Database Designers can go for this training program. The training program provides you the comprehensive knowledge required to work with database and excel in this field. 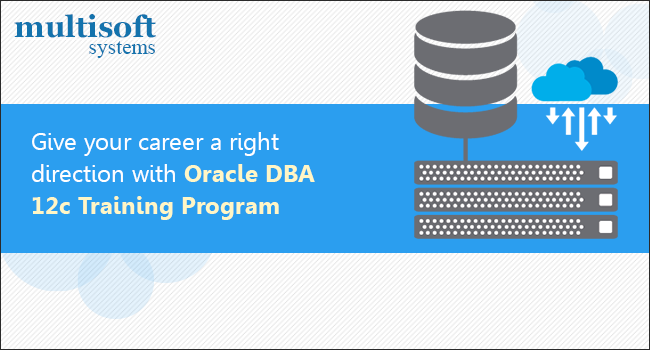 The Oracle DBA Training also helps you in gaining the associate level certification, after which you can go for the advance and Master level certification. The candidate seeking forward for this training program should have working experience and knowledge of SQL and a basic knowledge of Linux operating system is also needed. The Advantages of Oracle DBA 12c Training and Certification!